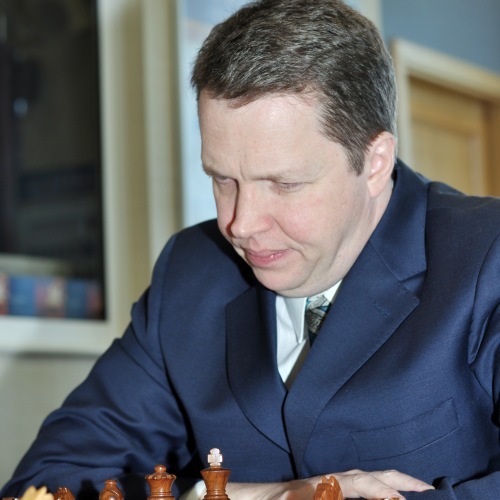 The first title holder of the Gibraltar international chess festival in 2003, former British Champion, GM Nigel Short, is once again back on the Rock participating in the festival for the fourth time. Nigel also won in 2004, and on his third visit came a close second. 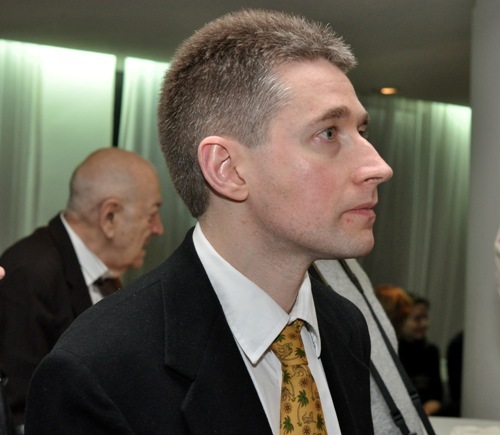 After a break of a number of years he has returned to compete in the Tradewise Chess Festival 2010… as he puts it for the “good weather” but also because he believes that from modest beginnings the festival has now become the foremost open tournament in the world. “The Gibraltar Festival has grown tremendously. It has never been a weak tournament even in the first year. From modest beginnings, and from the first year, great efforts were made to bring some top players. It is now the foremost open tournament in the world. 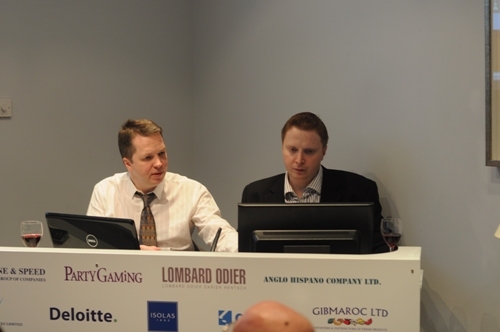 Everybody agrees Gibraltar is the best opens around,” he says. Is he surprised with the success of the Festival in Gibraltar? Is he back to win back the Gibraltar title again? 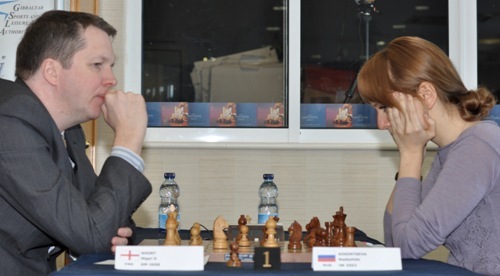 The Game of Chess is an “Artistic Pursuit”, says English Chess Grandmaster, author and now the tournament’s new web commentator, Simon Williams. 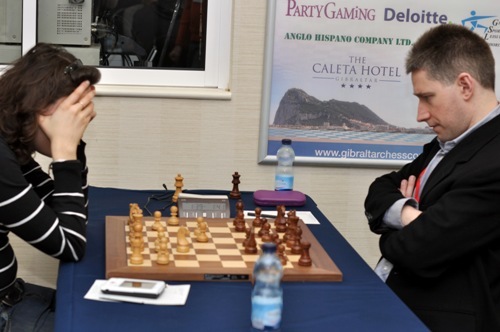 Three days into the tournament he has now settled in behind his desk in the Archie Suite at the Caleta Hotel leading the broadcasts of the ninth Gibraltar Chess Festival. Playing chess since the age of six Simon became a grandmaster at 27 in 2008. he had already achieved international master status in 1998. 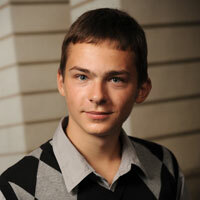 In December last year he was joint winner (with Gawain Jones) of the London Chess Classic FIDE Rated Open. Simon is extremely knowledgable on chess and has written seven books about the game, and produced three DVD’s. “I have quite a lot of experience talking about chess,” he says, as he prepares to gain more experience commenting on the Gibraltar Masters and having at his side the likes of GM Nigel Short. British and Gibraltar Champion Michael Adams is back in Gibraltar for the Tradewise International Festival. The second seeded player in this year’s tournament, he says he has very pleasant memories after winning the title last year. This is his third time competing in this festival. Coming back he says, “is a bit of a positive” because he knows he has done well in this festival in the past and admits it is a good feeling to return to a place where one feels comfortable. “I think it is a small advantage, but of course last year it was a very close event and I only won after a tie break, and this year again there are probably 20, maybe even more players who can win. It is a very open field,” he suggests. “The tournament is always growing and this year is even bigger than last year and has a big place on the world stage,” he comments. 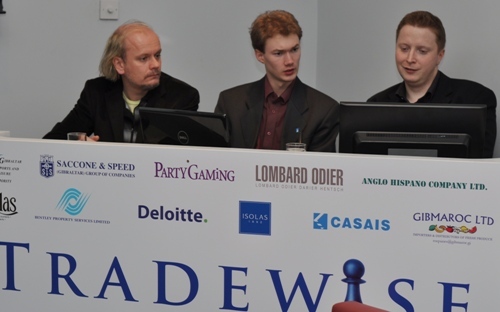 He believes the Tradewise International Chess Festival is an established tournament. How does he rate his chances this year and making it two years in a row? 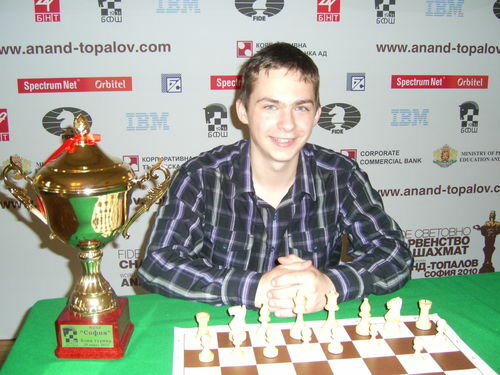 Hello IM Alexander Ipatov, thank you for accepting this interview for Chessdom.com! You are born in Ukraine and represent Spain. Currently the highest rated U18 player in Spain. How did your chess carreer start? I was born in Lvov (Ukraine) on the 16th of July 1993. My father showed me how to move chess pieces when I was 4. The first time I went to the Lvov chess club in 1999 at the age of 6. Things started rolling and soon after came my first success. 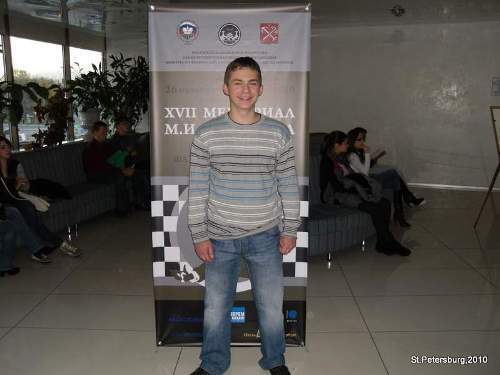 It was the second place in the Ukranian Youth Chess Championship U10 which took place in Nikolaev, March 2003. 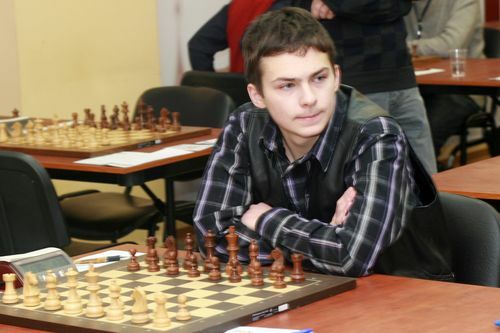 Ukraine is a chess country, with good traditions, strong players, and multiple talents. So such tournament success at young age inspired me, and also inspired the people around me to upgrade my chess skills. However, not everything seemed smooth. In 2009 you changed the federation from Ukranian to Spanish.What was the reason? Ok… This is the other side of the story. 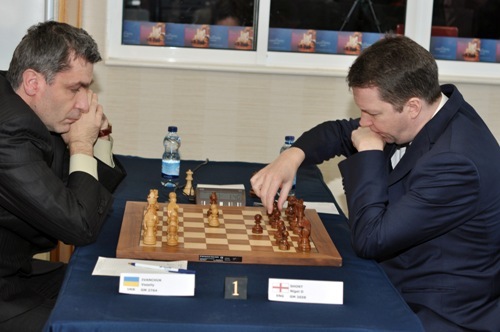 It happened because I was very dissatisfacted with the work of Ukranian Chess Federation. My chess growth was continuing, performing well in multiple local events. In 2008 I became twice vice-champion of Ukraine U16 and U20 (!) at a time when I was years younger than the other competitors. My desire and rightfull choice was to go to the European Youth Chess Championship because I’ve already played in WYCC in 2003 and 2007, but Ukranian Chess Federation rejected it. Another similar case followed: In 2008 Ukranian Youth Team had to go the World Youth Chess Olympiad U16 having in the team all the players higher than 2400, but Ukranian Chess Federation did not desire to cover even part of the travel expenses. As far as I know now the things with Ukranian Chess Federation is going better due to the election of the new President Mr.Kapustin. Anyhow, I’m happy now and I am proud to represent Spanish Chess Federation! There I feel valued and my talent is being developed accordingly. Such success at early age surely secures for you participation for international clubs. In Spain I play for the Catalan chess club C.E. Barbera. It is one of the strongest clubs in Catalonia and formally entered TOP-15 in Spain, a championship that is often considered the best in the world. My club won Primera Division of the Spanish Club Championship in 2009 and in 2010 we played in Division d’Honor, but,unfortunately, we descended from it and the next year we will again play in Primera Division. The club has strong players like GM Bruzon, GM Quesada, GM Postny, GM Leon Hoyos, GM Lemos, and myself in the championship, so I hope next year we will be in Division de Honor again and compete for the top positions. In Ukraine I play for Law Academy chess club which is one of the top clubs in Ukraine and has superstars in the team like GM Eljanov and GM Moiseenko. The next year we will be fighting for the first place in the Ukranian Team Chess Championship. To be honest, these are the only two clubs I am involved with right now. I have desire to play for more teams and I hope to make more national championship participations in 2011. You are an International Master, but your rating is Grandmaster level. For the past lists you have been constantly above 2500. Yes, this is true. I am still an international master. I have one grandmaster norm, I took it in the Moscow open 2010 with the perfomance of 2675.I was very near of the second and third norms in three Spanish opens this summer. Sooner or later it will come, for now my goal is to break 2600 as soon as possible and to enter the top 100 list. That means you are working hard? At the moment I am working with several coaches. Some of them are short term, some longer. A key to my preparation in the past one year has been IM Miodrag Perunovic, truly amazing coach that is producing champions like a chess champions factory. He surely has a very positive effect on me as well. 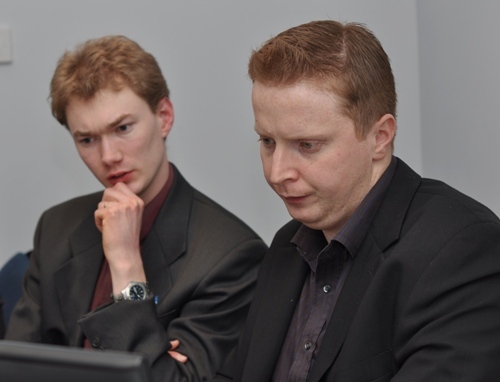 Recently I started also with GM Grivas, who is a FIDE senior trainer and a true professional in the field. From 13th January untill 13th February I will stay in Barcelona. I will help C.E.Barbera in Catalan Cup and Catalan Club Chess Championship. In February-March Law Academy is going to organize Closed GM tournament “Rector Cup”, I will play there as well. For the other months I do not have a fixed calendar, there are many events these days, especially in Europe. I like the fact that chess is developing and there are more opportunities for us, the professional chess players.